The day was a scorcher. The heat was oozing out from the concrete and into San Carlos City’s streets; chasing us like shadows, haunting us like ghosts. 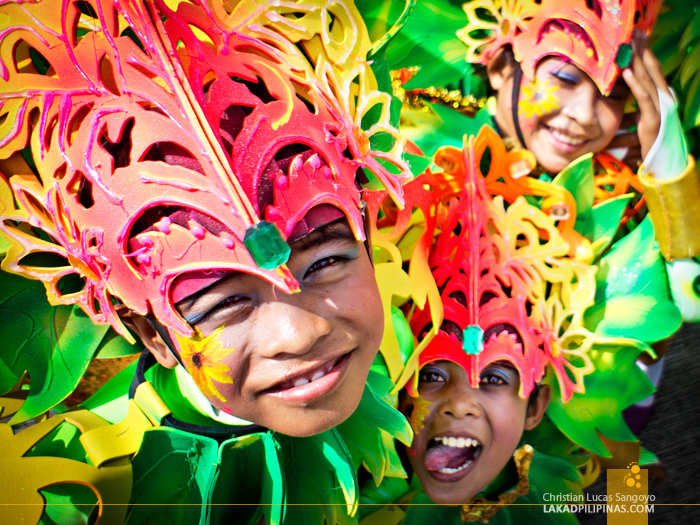 It was the day of Pintaflores Festival and we were not about to be dissuaded by such trivial things as heat strokes and what nots. 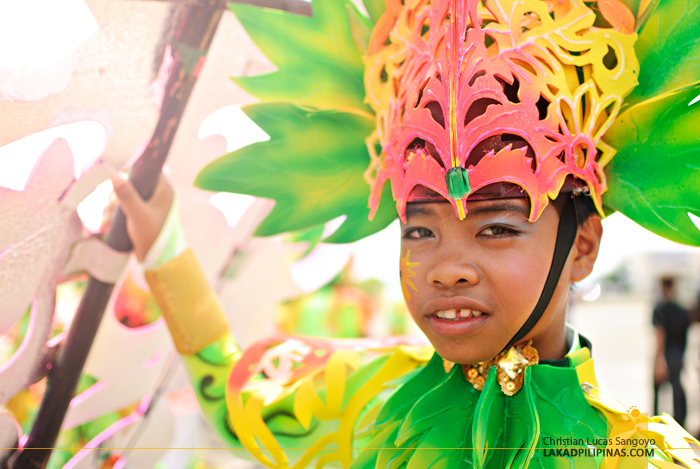 This is what we came all the way from Bacolod City for, the colors of the Pintaflores. But fate it seemed was not with us. 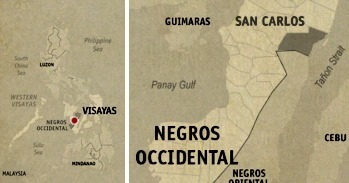 Due to some planning oversight, the scheduled flight back to Manila was set on the very same day of the festival. It would’ve been alright if there’s an airport at San Carlos City itself, but alas, we have to go all the way back to Bacolod for our plane ride. The only hope we have was for the festival to start early; which it did not, much to our disappointment. We hunted the streets and schools that morning, looking to have a preview of the contingents even if just for their practice sessions; but it was hopeless, they’re nowhere to be found. It was not until we chanced upon a local cop who told us in alternating Tagalog and Visayan dialect that the staging area was now being set at the port area. We quickly hailed and jumped on a tricycle, heading towards the direction of the harbor. And there we found a lone contingent of this year’s Pinataflores Festival, the Tribu ni Ka Andres. 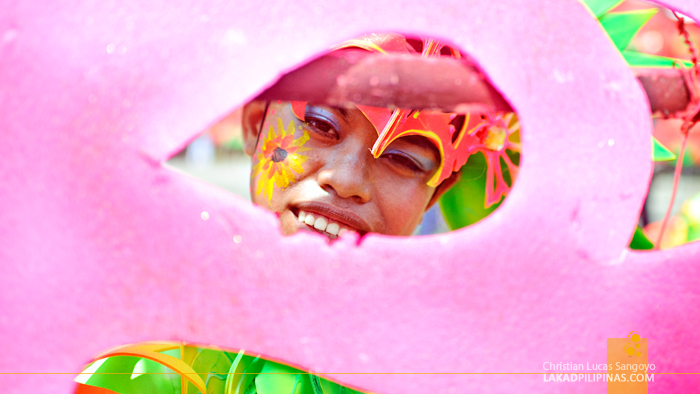 Their faces painted, their flamboyant headgear on and their infectious smiles ready for our cameras. 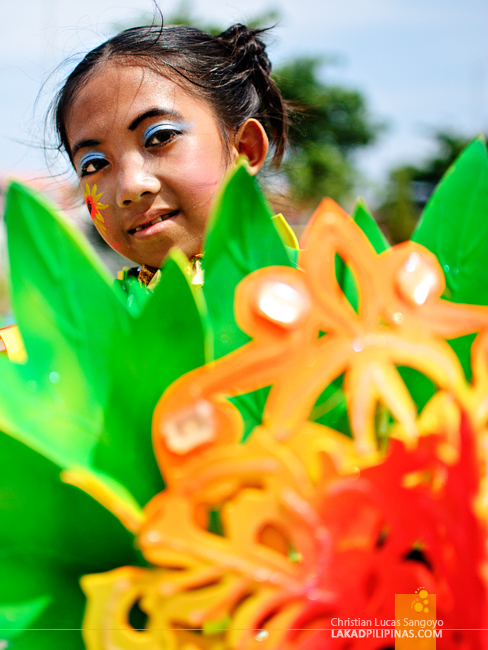 Through the blistering heat, I managed to exchange a few images with the kids. They smile, I click. 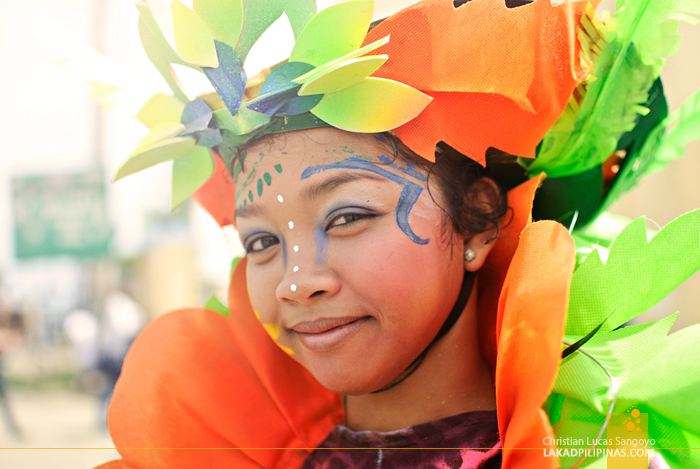 San Carlos City has been celebrating the Pintaflores Festival annually for the 19th year now, jiving with the celebration of its patron saint, San Carlos Borromeo. 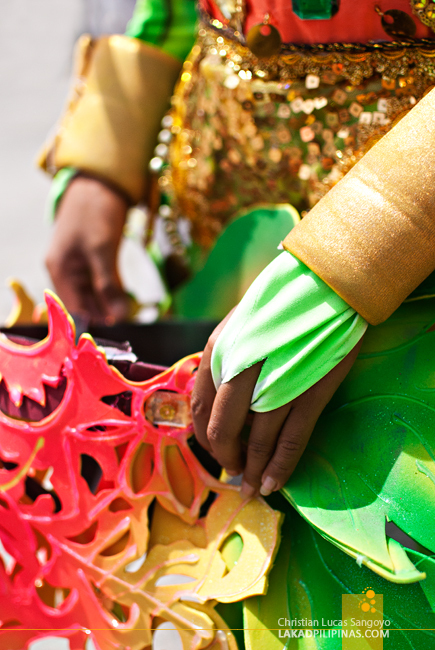 And even though we were unable to really attend the festival and witness the wild street dancing that must’ve followed, we were still glad that we were able to see, even if just a glimpse of San Carlos’ Pinataflores.